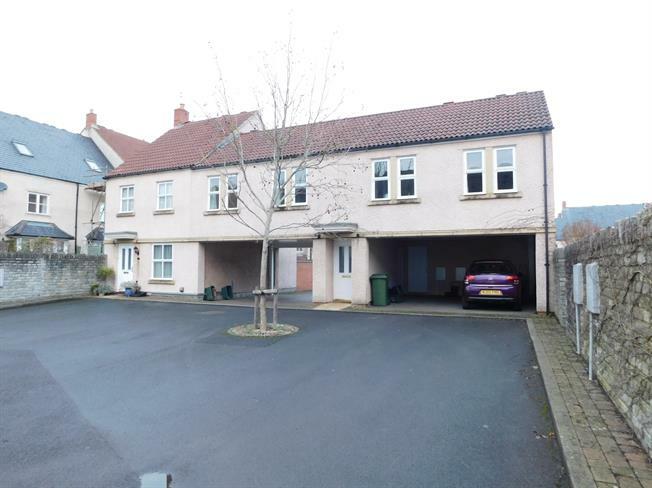 2 Bedroom Maisonette For Sale in Wells for Asking Price £180,000. OPEN TO OFFERS NO ONWARD CHAIN! This well presented two bedroom coach house situated just a short walk from the city centre briefly comprises; private ground floor entrance hall leading up to the first floor landing with storage cupboard and airing cupboard, spacious open plan lounge/diner, well equipped kitchen, two generous sized bedrooms and family bathroom. The property also benefits from a car port with additional storage as well as a walled courtyard garden. Double aspect double glazed wood windows facing the front and rear. Radiator and electric fire, carpeted flooring. Double glazed wood window facing the rear. Radiator, vinyl flooring. Fitted and wall and base units, stainless steel sink and with mixer tap with drainer, integrated, electric oven, integrated, gas hob, over hob extractor, space for washing machine. Double bedroom; double glazed wood window facing the front. Radiator, carpeted flooring. Double glazed wood window facing the front. Radiator, carpeted flooring, built-in storage cupboard. Double glazed wood window with obscure glass. Radiator, vinyl flooring. Low level WC, panelled bath with mixer tap, shower over bath, vanity unit with mixer tap.